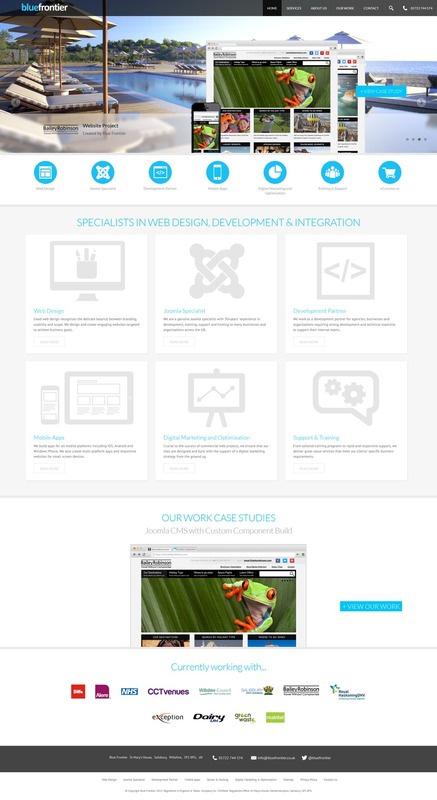 Blue Frontier are an experienced independent CMS web design and develeopment agency in Salisbury, UK. Although a large company offering a wide range of web services, we are also small enough to offer a bespoke service that's tailored perfectly to your business. We have worked with a diverse range of clients since our beginnings in 2005, including private and public sector companies of all sizes from national, international and local. All of our clients are kept involved, with a clear understanding of what is being piad for. Our expertise and commitment ensures a truly quality service is received.